Occasional heartburn is certainly uncomfortable, hitting the sufferer with a burning sensation in the upper chest. If you experience heartburn two or more times a week, good sense omeprazole delayed release tablets 20 mg can help. 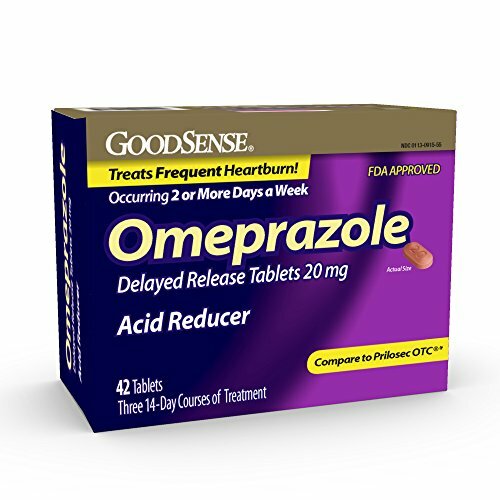 Good sense omeprazole delayed release tablets 20 mg treat the symptoms of heartburn. Following a 14-day treatment schedule, people who experience heartburn two days or more a week can get relief from the burning sensation that comes with acid reflux. If you have any questions about this product by Good Sense, contact us by completing and submitting the form below. If you are looking for a specif part number, please include it with your message.